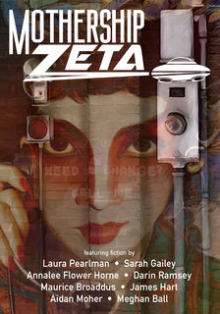 Mothership Zeta is looking for science fiction, fantasy, and horror stories that are fun. The robot who fights a dinosaur, not the robot who explores its lack of humanity and deactivates itself. The nagini who goes on an adventure, not the nagini who is tortured and drowns herself. The blonde woman who kills monsters, not the blonde woman who gets ripped apart by monsters. Fun doesn’t necessarily mean “funny,” and stories can have conflict and darker elements, but we want stories that leave the reader satisfied, usually in a positive way. Bittersweet is okay, tragic is not. (Unless you’re Cabin in the Woods. A killer unicorn buys you some credit.) We hope to publish fiction reflecting the full range of settings and tropes found in speculative fiction. We’d particularly like to see more stories set outside America, and stories that feature characters who represent a range of backgrounds and ethnicities. Open to a broad Audience, including: All ethnic groups/populations, All sexual identities. FFantasy Fantasy Open to all/most Subgenres, including: Supernatural. HHorror Horror Open to all/most Subgenres, including: Supernatural, excluding Extreme Horror. Open to all/most Topics, including: Sexuality/Gender (LGBTQ issues), Society/Culture (Ethnicity/Race, Social issues).